I’m really impressed with the crisp, clear sound from the premium dual front speakers the HTC One M8 Harman/Kardon Edition phone offers. Using Spotify I downloaded a few songs and could immediately notice a huge difference in the quality compared to other smartphones I have used in the past. By the way, Sprint is offering a sweet deal on Spotify for all new and existing Framily Plan members where you get six months of service free! After that, Framily Plan members get a discounted rate of either $7.99 or $4.99, depending on how many users are on your plan. Spotify’s catalogue includes more than 20 million songs. Spotify Premium and much more! Speaking of the Duo Camera, the 5-megapixel front-facing camera offers multiple editing features, perfect for selfie fanatics. The UltraPixel rear-facing camera allows users to snap excellent photos in a flash, even in low light. I was extremely impressed with the caliber of photos this smartphone can capture. Check out a few photos I snapped below. There is NO editing to these photos. Didn’t they turn out beautifully? The wrap-around metal frame makes this phone weigh in a bit heavier than other phones on the market. The phone does offer the comfortability of a slim design that’s durable. Not only is this bad boy a beauty to look at it, but it’s easy to navigate too. An app included with the HTC One M8 that was new to me is Blinkfeed, which offers your world in one screen. With how active I am on social media, especially when my blogging life revolves around it, Blinkfeed allows for all of my social media networks, news, calendar, and more to display right on the home page for easy access. It’s definitely one of my favorite apps. With these features combined this phone is a definite standout. 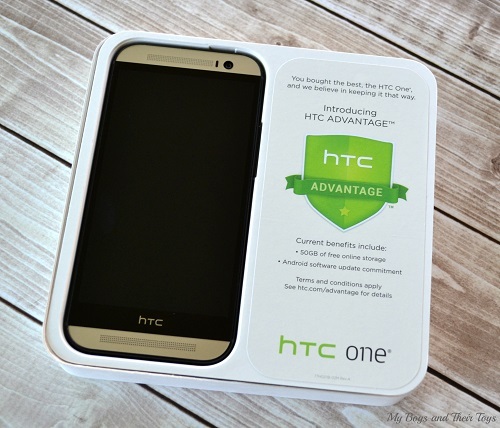 If you’re in the market for a new smartphone, check out the HTC One M8 Harman/Kardon Edition and see if it’s right for you. In addition to the HTC One phone, I was surprised to find the Harman Kardon Onyx Studio delivered at my doorstep. Valued at $399, the Onyx Studio is one of the best looking speakers I’ve ever seen. Not only does it have a seriously cool look, but it includes a wealth of wireless technologies inside. During our weekend BBQ my new speaker was all the rage. It offers extreme clarity combined with powerful sound. It’s a great value! For a limited time, customers can purchase the new HTC One M8 Harman/Kardon Edition for $0 down on the Sprint Framily plan and add the Onyx Studio Speaker for just $99.99 – a $300 instant savings! As a tech junkie I am really excited to have the opportunity to test out the latest products on the market and share my experiences with you. Look out for my next Sprint Ambassador review, coming soon! The camera takes beautiful pictures. what an awesome phone with super super speakers!! Yes it does take beautiful pictures my daughter has one and so far the pictures she has posted are fabulous and extremely Good and show the whole image instead of just a piece of a head or leg lol anyway come on people it’s just a few words and your in !! Those are both really nice pieces of equipment. The speaker will be awesome for outdoors! I have an HTC Amaze and I love it. This looks like another great HTC phone.